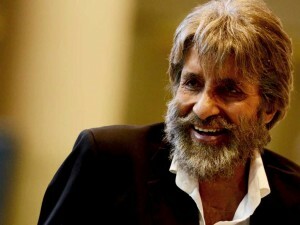 After giving many hits and popular movie, the Bollywood legend Amitabh Bachchan is back in the cinema with his latest film. Shamitabh is an upcoming Bollywood drama film directed by R. Balakrishnan and jointly produced by Sunil Lulla, Balki, Rakesh Jhunjhunwala, R. K. Damani, Amitabh Bachchan, Abhishek Bachchan, Sunil Manchanda and Dhanush. The film features also features Dhanush with fame of Ranjhanaa along with debutante Akshara Haasan. It is quite an interesting film and has good story and characters in it which will be loved by the audience. Unlike in most of his earlier films, both Amitabh and Dhanush (Shamitabh) are playing humoristic roles in the flick. Critics have judged Shamitabh on different basis and starting up with its music then the film’s music is one of its strength. Film has all different script and characters of these leads not seen by now in any of their film and this can prove as a favor or against the film coz audience may or may not like their new characters and look may be a turning point. Overall critics review for Shamitabh is good. They say that the script is quite suspense and entertaining. Ilaiyaraaja who is known for his good music has composed the tracks for this film. Critic’s attitude towards the music is very good and the songs are quite entertaining. Their expectations from this film are positive and quite high. Shamitabh’ is a treat for Amitabh and Dhanush fans they he plays safe this time by getting back to the genre they is best at – drama. Now after decent reviews critics are waiting eagerly for this film getting released on box office on this Friday. Trailers of the film have also got high response from the viewers hence predicting that the film is going to be supported by public.